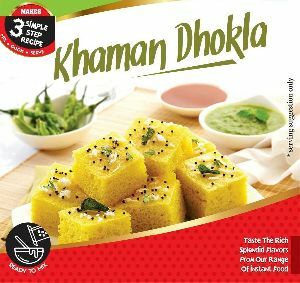 Khaman Dhokla is an authentic Gujarati Snack, which has sweet & sour taste, mouth-watering aroma, and easy edibility properties. For this, it is widely popular in domestic as well as international markets. 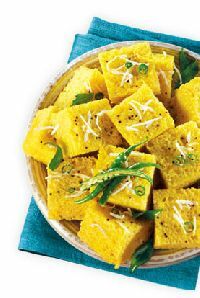 Khaman Dhokla is a food common in the Gujarat. So easy and quick to make, garnish it with scraped coconut and serve it with chutney of your choice. 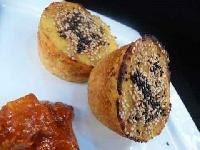 Food guard is used in various products like khaman dhokla & etc. It’s protect from saurness & dryness also increase shelf life of product. 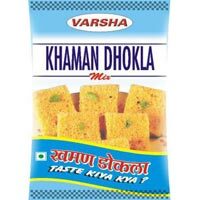 We provide khaman dhokla in india. 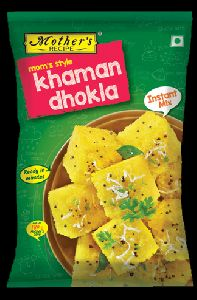 We are offering Khaman Dhokla Instant Mix. Blend 70ml. (5 tbsp) oiland 530 ml. 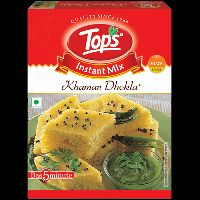 Of water pour into khaman dhokla mix gradually with minimum stirring until batter is smooth . Pour batter into a baking tray, greased with oil steam on high flame for 15 mins. If pressure coocker is used do not apply weightwhistle. Remove and allow to cool for 10 min. Cut into 2 inch cubes. Heat 4 tbsp, (30ml) oil add 2 tsp. Mustardseeds. 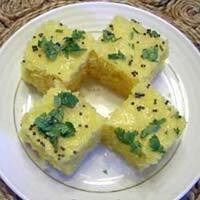 Description Dhokla a very popular Gujrati delicacy, well known for its irresistible taste and flavour. Prepared using only the freshest ingredients and a mother's magical touch. Ingredients Gram Flour, Sugar, Semolina, Raising agent (INS 500 (ii)), Acidity regulator (INS 330 & INS 262(i)), Edible common salt and turmeric. 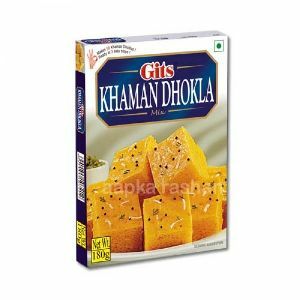 A prominent supplier of huge range of Khaman Dhokla. Popular gujarati delicacy khaman dhokhla made easily with instant-mix! 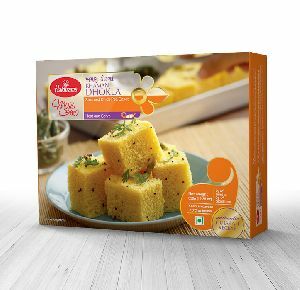 many of times we fail to get that spongy and yummy dhokla’s after hours of hard work. 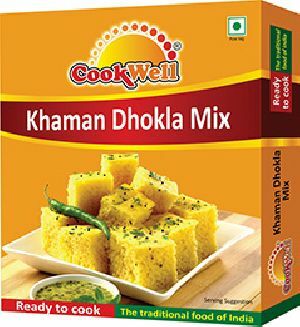 But, with this dhokla instant-mix one can make it perfectly after following few steps. 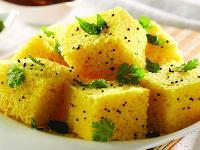 We are offering khaman dhokla is prepared in authentic surti style.